HomeLife StoriesRenee Scott (1916-2000) and Walter Marshall (1916-1970). A Union of Circus and Fairground Families. Renee Marshall (born Scott) and Walter Marshall, were a couple whose marriage before the Second World War represented a rare union between a circus family and a fairground family in the UK. Renee Scott was brought up into a circus dynasty and performed as a reputed equestrian until her marriage to Walter Marshall. The Scott family had been known as circus performers since mid-19th century, most notably appearing before Queen Victoria and King Edward. Walter was also of a well-known family of fairground entertainers, the Marshalls. The two met in 1936, at a New Year Fair and married in 1938, shortly before the start of Second World War, upon which Renee joined her husband travelling fairs. In September 1936, Walter received his licence to fly private flying machines. When the Second World War started, Walter was soon drafted into the RAF, where he served as a pilot. After some time being stationed in Britain, he was assigned to the Middle East (RAF Iran, at Habbaniya), where he remained until the end of the war. 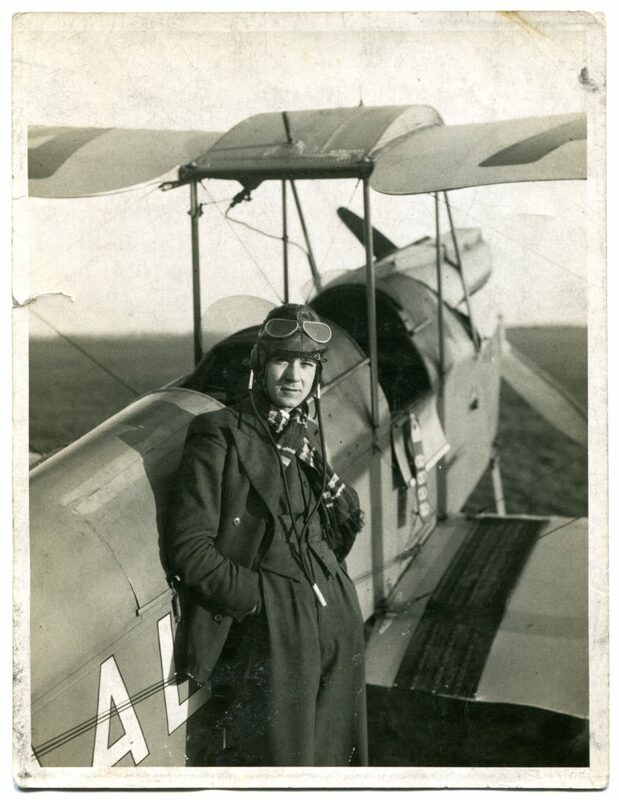 During his time there, Walter sent hundreds of letters to his wife and daughter, telling of the experience and life as an RAF pilot. Throughout the war, Renee took care of the family’s fairground business and helped manage the family accounts. Sandra, Renee’s and Walter’s first daughter, was born in 1940, while Walter was serving in the war. Walter and Renee’s second child, John, was born in 1946. Walter survived the war, reaching the rank of Sergeant, and the family continued their work with the Marshall Modern Amusements Ltd. Company. Walter died in 1970 at the age of 52, of coronary thrombosis. After his death Renee continued the family business with her two children. Renee died in 2000, at the age of 84. Both Walter and his wife Renee were lifelong members of the Showmen’s Guild of Great Britain. Author: Raluca Bianca Roman Sources: Information courtesy of the National Fairground and Circus Archives, University of Sheffield. Data and photographs compiled from the Marshall and Scott Collection of the NFCA.